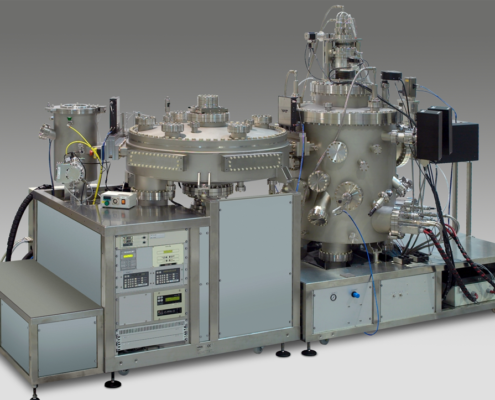 The S800 MBE system is an advanced production MBE system for oxide or SiGe epitaxy. The system is designed for 200 mm wafer size. The base system consists of three chambers, the S800 growth chamber, UHV cluster tool and a cassette load lock chamber. The wafer transfer is fully automatic. The UHV cluster tool allows system expansion with additional growth or process chambers. The additional process chambers can include the unique DCA high uniformity UHV sputter coater, metallization chamber, mask storage and alignment chambers as well as CVD chambers.